Sir Alex Ferguson is one of the best football managers in the world considering his achievements when he was in charge of Premier League side Manchester United. Ferguson became Manchester United manager in 1986 and gave a player like Cristiano Ronaldo the chance to shine at Old Trafford. In May 2013, Sir Alex Ferguson retired from active coaching, and since then, he has been involved in football but not as a manager. Ferguson was known as the man who likes chewing gum as hardly would you see him on the touchline without gum in his mouth. He was in charge of 1,500 games in his glorious 26-year stint in charge of Manchester United and he went through at least 3,000 packets of chewing gum according to sportbible. 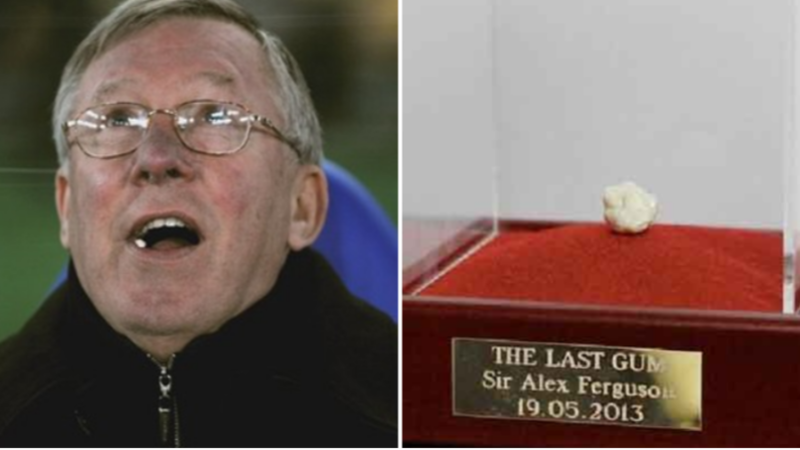 The report added that a lot of people were desperate to be the proud owners of Ferguson's last gum and the winning bid was a staggering £390,000. Meanwhile, Manchester United currently occupy fifth position on the Premier League standings with 58 points after 30 games. Earlier, Legit.ng had reported how Sir Alex Ferguson traveled with Manchester United stars to Paris for their Champions League encounter with Paris-Saint-Germain. Ferguson's presence was a major morale booster for interim Manchester United manager Ole Gunnar Solskjaer and his players. United were beaten 2-0 in the first leg of their Champions League round of 16 first leg encounter at Old Trafford in which Frenchman Paul Pogba got a red card, but they won 3-1 in Paris.